As of May 17, 2018, these rules require pharmacists who import APIs on List A: List of Certain Antimicrobial Active Pharmaceutical Ingredients in order to prepare or compound drugs for veterinary use, to obtain a Drug Establishment Licence (DEL) from Health Canada. An antimicrobial is a drug that can destroy micro-organisms, including those that can cause disease or inhibit their growth. In Canada, more than three quarters of antimicrobials are sold for use in animals, most of which are used to promote growth or guard against disease and infection. However, an increase in the use of antimicrobials has increased the threat of antimicrobial resistance (AMR). The development of AMR has consequences not only for human health, but also for animal health. A reduction in the number of effective antimicrobials available to treat animal diseases can lead to increased animal suffering, higher death rates and, subsequently, economic losses to food animal producers and higher consumer food prices. Additionally, antimicrobial-resistant infections in humans are associated with a greater risk of death, more complex illnesses, longer hospital stays and higher treatment costs. These regulatory changes support the surveillance of antimicrobials in order to prevent the overuse and misuse of antimicrobials in animals and subsequently halt the development and spread of AMR. Pharmacists already engaged in the importation of APIs on List A for veterinary use will have until July 17, 2019 to apply for a DEL. Pharmacists who wish to begin importing APIs on List A for veterinary use must now obtain a DEL before engaging in the activity. 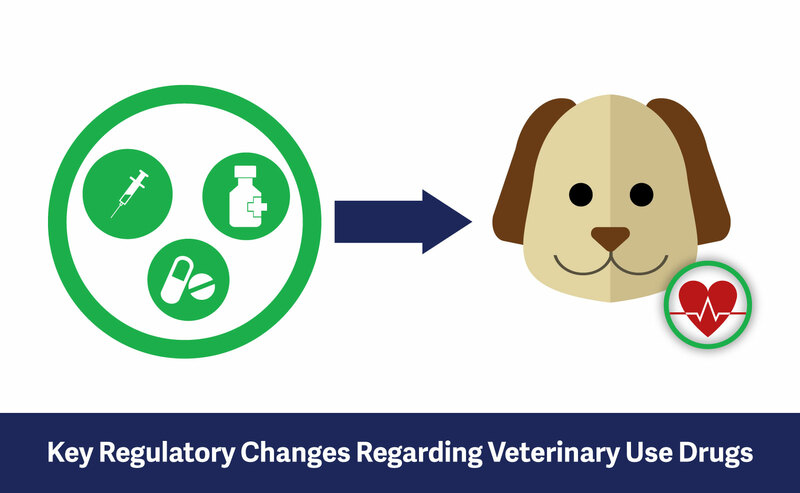 The regulatory changes also facilitate access to low risk Veterinary Health Products (VHPs) by introducing VHPs as a separate category of drugs with a different level of oversight. A flexible and risk appropriate product approval pathway has been established for VHPs. Substances permitted in VHPs are listed on List C: Veterinary Health Products. Manufacturers and importers must notify Health Canada before selling or making a change to a marketed VHP in Canada and must report serious adverse drug reactions to Health Canada. This change came into effect on November 13, 2017. In order to support antimicrobial surveillance, the regulatory changes require the submission of annual veterinary antimicrobial sales reports, starting with the year 2018. These reports require information about the sale of medically important antimicrobials for veterinary use on List A and must be submitted by manufacturers, importers and compounders to Health Canada by March 31 of each year. Sales of compounds prepared using an approved drug product (DIN product) that contains an API on List A, which are for use in food producing animals. Sales of compounds prepared using an approved drug product (DIN product) that contains an API on List A, which are for use in companion animals. Sales of approved products (DIN products) that contain an API on List A as is, in the Health Canada approved format, with no compounding involvement. The first of these sales reports must be submitted to Health Canada by March 31, 2019 and should include sales data from January 2018 to December 2018. As of December 1, 2018, all Medically Important Antimicrobials (MIAs) for veterinary use, currently sold over-the-counter, will be added to Health Canada’s prescription drug list (PDL), making a veterinary prescription required for owners/end users to access these drugs. Antimicrobial drugs are important to fight bacterial infections in humans and animals. The responsible use of MIAs is intended to preserve their effectiveness and minimize the development and spread of antimicrobial resistance. Pharmacists will be able to sell a Pr drug (including a DIN drug premix** and medicated feed) to end users (such as food-animal producers with on-farm feed mills and companion animal owners) who have a prescription. Additionally, a Pr drug cannot be sold to a retail store (such as livestock medicine outlets, farm supply stores or feed stores). **A DIN Drug Premix is defined in the Food and Drug Regulations as a drug for veterinary use to which a drug identification number has been assigned, and where directions on its label specify that it is to be mixed with feed.